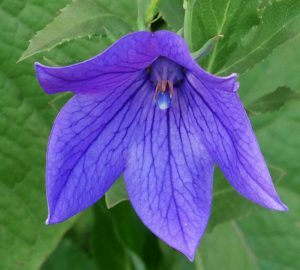 Platycodon grandiflorus | Edimentals ! 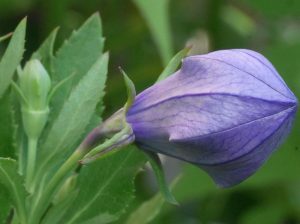 Platycodon grandiflorus (Balloon Flower), an important vegetable in the Far East, is just starting to flower in the garden. In Korea, it is called doraji. Its root, either dried or fresh, is used in salads and traditional cooked dishes. Young leaves are also used. 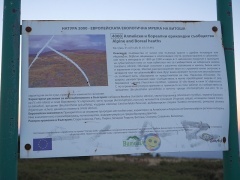 EU Habitat type 4060: Dwarf or prostrate shrub formations of the Central European sub-alpine and alpine zones on siliceous or calcareous soils. Dominated by ericaceous species, Dryas octopetala, and Dwarf juniper. There is often a conspicuously high proportion of lichens (Cladonia a.o.) in the low-growing vegetation. This type includes alpide dwarf ericoid wind heaths, Vaccinium-Empetrum heaths, and Dryas heaths.